Thank you to everyone for supporting this development project. 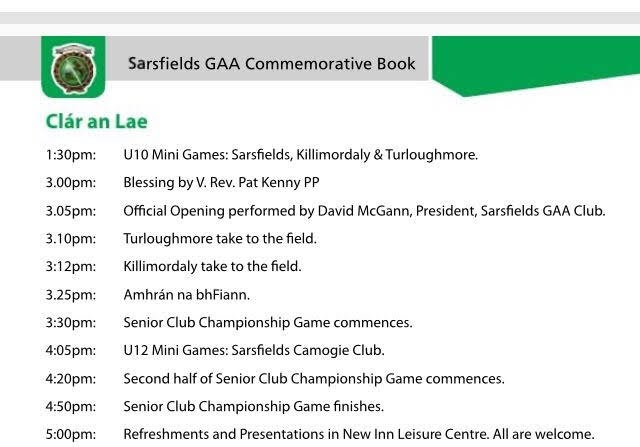 We are delighted to announce that the Official Opening of Sarsfields GAA Grounds will take place on Sunday 16th September 2018. The official opening of our GAA Grounds, a historic occasion for our club featured Killimordaly versus Turloughmore in Round 4 of the Galway Senior Club Hurling Championship (won by Torloughmore) plus underage hurling and camogie games. 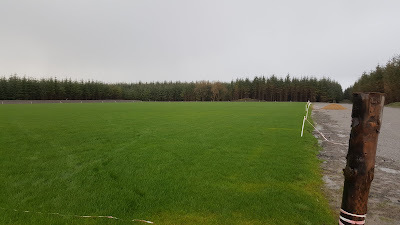 Having our own GAA Grounds has been a lifelong dream and we are delighted that the project is nearing completion. 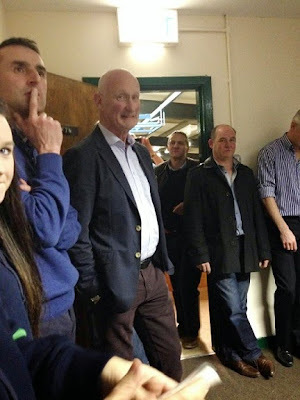 This development proved a huge undertaking for the people of our parish. 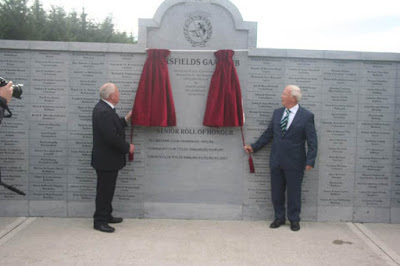 Hundreds of hours of free labour were provided by volunteers from the local community along with much of the €450,000 investment required. We are extremely grateful for this support and are already witnessing the positive impact this valuable resource has had on the community as a whole. Sarsfields Hurling and Camogie Clubs, local primary and post-primary schools and club members have all become regular users of the facilities. Sarsfields new pitch looking well. August 2016 - "we have goalposts"
Niall/Ronan Quinn, Seamus Doyle (Jnr), Tommy Fox.